You can become a hog roaster yourself for the day with Spitting Pig Cheshire and our amazing machine hire deals. We are offering our customers the chance to impress everyone and create their very own hog roast. The machine deals are not to be missed, we offer delivery to you, the gas you will need to power your machine, collection after the event and if necessary we can also provide the pig for you. Leaving you with no worries or hassles as we will just show up on the day with everything you need to get started. We can also provide you with full instructions and the team member who delivers to you can also give you a demonstration and answer any queries that you may have. Our machines are the best in the industry, easy to use and reliable so you really can’t go wrong. Doing your own hog roast is not only a satisfying and rewarding experience but it is also a great value for money option. 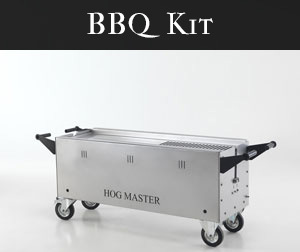 If you are working to a budget for a party or event you have coming up then hire a hog roast machine for the day and have fun while you save money. So what are you waiting for? Get in touch with us today and be the star of the show at your next family gathering. We at Spitting Pig pride our selves in our ability to be able to provide a top quality hog roast for your catering event. 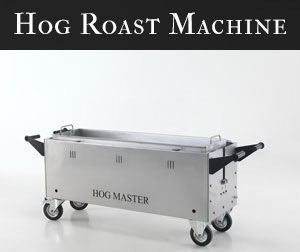 We hire machines right across the county for a hog roast in Nantwhich or a hog roast in Northwich. The reason we can offer this service so well if simple, we offer the best machines money can buy, the spitting pig titan hog roast is both an excellent machine whether catering for a large wedding or for an intimate dinner party for yourself and a few guests it is extremely versatile and although we would recommend using the machine outside as it runs on gas not charcoal it is not only easy to operate but is suitable for use indoors which is useful for winter based events where the weather is so drastically changeable.Whether you decided you wanted to keep your budget down or you simply wanted to man the Hog Roast Nantwhich yourself (an excellent party piece!). This is a superb alternative to us providing the entire event for yourselves, at only a portion of the cost. We offer this service in two different forms either with or with out the Pig (or Lamb, Chicken). The price includes delivery, gas, as well the delivery driver will give a full demonstration of the workings of the machine as well as giving full cooking instructions (our secret methods) for the perfect hog roast you will also receive an emergency number should you have any problems with the machine you will be able to get hold of a member of the team and they will be able to talk you through any problem that you may have! The machine we provide will be fitted with a roasting tray not a spit. This may seem strange to yourselves but believe me there is method in our madness. You may think that with the pig sitting static in the middle of the oven this will cause it to burn on top yet be undercooked on the underside. But no! this is not the case the tray makes for a more user-friendly approach to hog roasting. The cooking temperature of the machine is set extremely low the key is allowing plenty of time for cooking this will result in an evenly cooked hog, with crisp crackling and succulent meat, whereas one key flaw with the spit is simply with slow cooking methods (essential for hog roasting) the pig becomes so soft it can fall off the spit which I can assure you ruins any aesthetic advantages the spit may have. Also with the pig being static it requires no electricity which can be a great advantage especially if there are no convenient power sources near by. Also we have some specially made bars that sit underneath the hog tray increasing the height making carving easier and the hog more presentable. 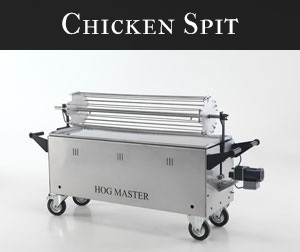 So whether your next hog roast is in Dunkinfield or anywhere else across the county then make sure you use Spitting Pig Cheshire for all your spit roast hire needs. If you are a business in the Cheshire area then our hire options are an excellent opportunity for you. Many hotels and pub owners in the area hire our machines on a regular basis to help them generate more business for big events that they are holding. If you have a special event coming up a hog roast Northwich can really help you make the night more of a success and as it is such a popular catering option at the moment you will be giving your customers exactly what they want. Take a look at the range of machine hire offers we have available and take advantage of these excellent deals and become a hog roaster yourself.